Concentrated fruit aromas of orange zest, grapefruit and lime are complemented by notes of fresh cut grass. 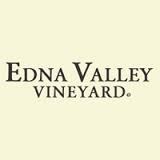 Our Edna Valley Vineyard 2013 Sauvignon Blanc is well-balanced with rich citrus and tropical fruit flavors. Bright acidity makes the wine crisp and adds length and minerality to the finish.